Well…nothing like a video game showdown with the count. Not that they played video games with him…the fight scenes were done as if they were video games. And now we have a more complicated plot coming along. 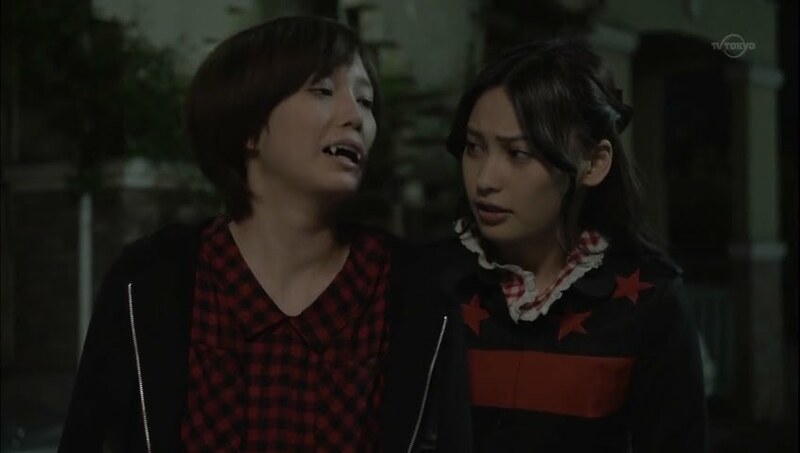 Ken tries to tell Hayato that Komachi and Sakurako are vampires, but Koma stops him in time and Ken switches it from the girls a are vampires to the girls wish to start a band. The worried Hayato has no time for this and rushes after Sakurako. Koma then wishes to know how long Ken has discovered their secret for. Ever since they were drunk, but he does vow not to tell a soul about them. Night falls and Hayato finally finds Sakurako. She turns to face him with a smile. She had a great time today and was really happy…but it’s impossible between them. Hayato doesn’t get this and Sakurako really can’t explain it and just leaves him hanging after saying goodbye. We then get a scene of one of the vampire lackeys killing a man who hit him with a car. Blood gushes all over the car and his girlfriend passes out in shock. 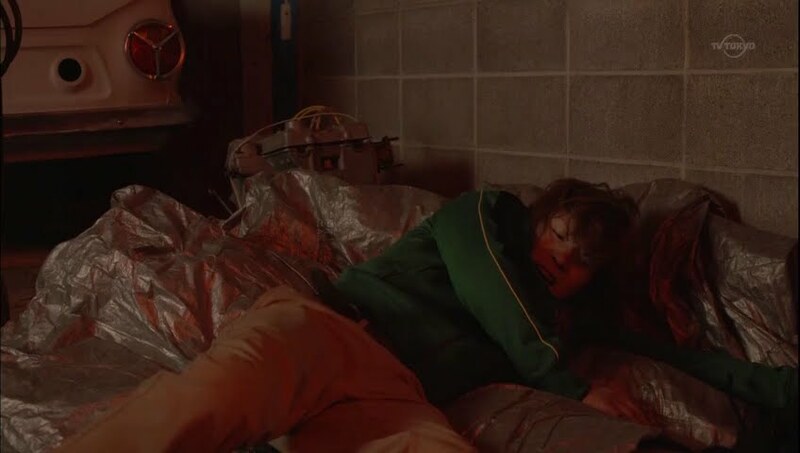 Totally random scene. 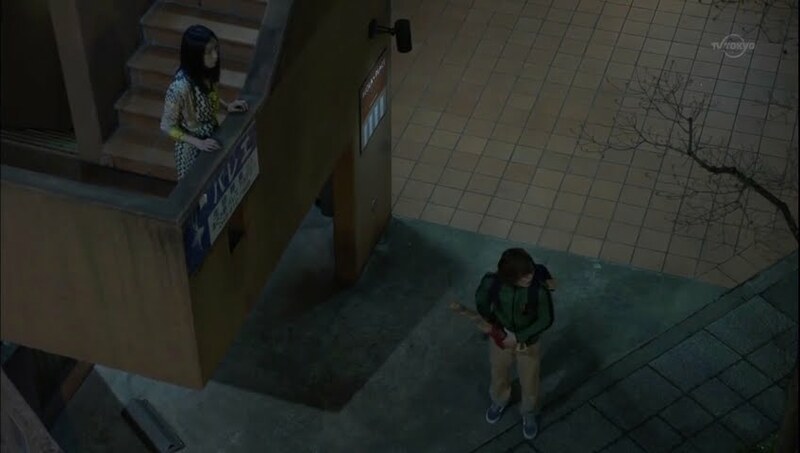 Sakurako is sitting morose and strumming Hayato’s thrown away guitar. Koma comes out and explains this is why vampires and humans can’t be in love. It’s impossible for them. Sakurako understands that, but she can’t help it. For no reason Hayato seems to have completely consumed her thoughts. She begs for Koma to understand, but Komaa refuses to understand—she doesn’t want to understand. 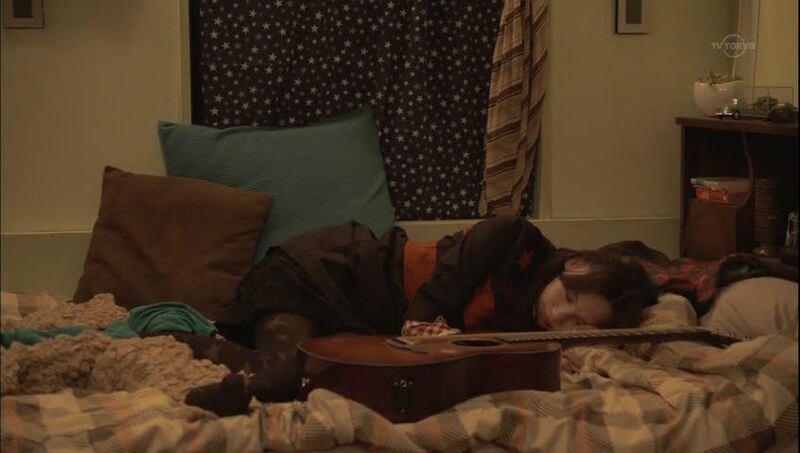 Koma walks away and the depressed Sakurako lies down hugging the guitar to her. No. It’s really her who doesn’t understand. Koma goes outside for some fresh air where she spots Hayato hanging around below. She immediately goes up to him and tells him to stop hurting her friend and just leave her alone. This surprises Hayato. He hurt Sakurako? Koma is stunned when he apologizes for this. Poor guy has no idea how he could have hurt her, but is horrified that he did. Hayato then says he will leave for the night. We then see weird shadows playing across the brick wall and like that Hayato is gone. 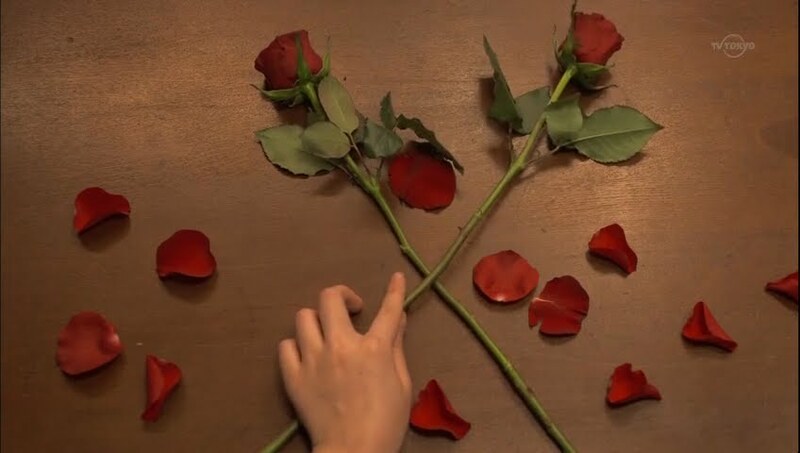 Koma rushes over and sees a message made of roses. Inside the bar, Risa and her friends are talking about Risa’s date with Hayato. I’m surprised that Risa can put on a happy face and pretend like her date went well when Hayato took Sakurako and ran off. One of her friends then turns to Koma and asks where Sakurako is. Koma is busy trying to decode the message which she brought inside, but does reply that Sakurako is alone in their room. Risa jumps on this. Is Koma sure? Hayato isn’t with her? No…because it looks like Hayato has been kidnapped. This shocks Ken who overheard her. He immediately freaks out wondering what the kidnapper would want and how they can get Hayato back. Meanwhile, Koma wonders if she should tell Sakurako or not. Too late. Sakurako overheard her and definitely will not let the Count (he really doesn’t have a name, they just call him the Japanese word for count through this entire series). Sakurako rushes out to save her beloved human followed by Ken. Aoi goes over to Koma and sees the message. Her blank face does look like it understands what it says. She then asks if Koma will skip out on her shift, too. Koma says nothing and sits sullenly. 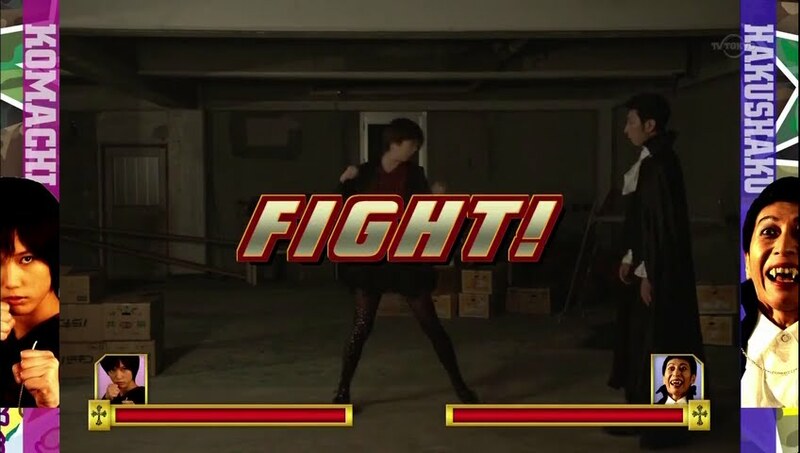 Meanwhile, Aoi rushes out to throw something down to Ken. She tells the young man to use it when he’s in trouble. What is it? Ken thanks her and rushes off. Koma goes upstairs and watches her and Sakurako’s favorite drama. In it, a bad guy is holding the girl as a hostage. Her lover is begging baddie not to hurt her. The baddie asks why he’d do anything for that girl. Because he loves her. He then rushes at the baddie. This seems to make up Koma’s mind. She cannot let her beloved friend face the devious Count alone. So she rushes off and joins up with Ken and Sakurako. Ken asks about the Count and Sakurako reveals that he is a much older vampire than either her or Koma. She then stops. What does she do? She let it slip! Koma assures her its okay since Ken already knows. 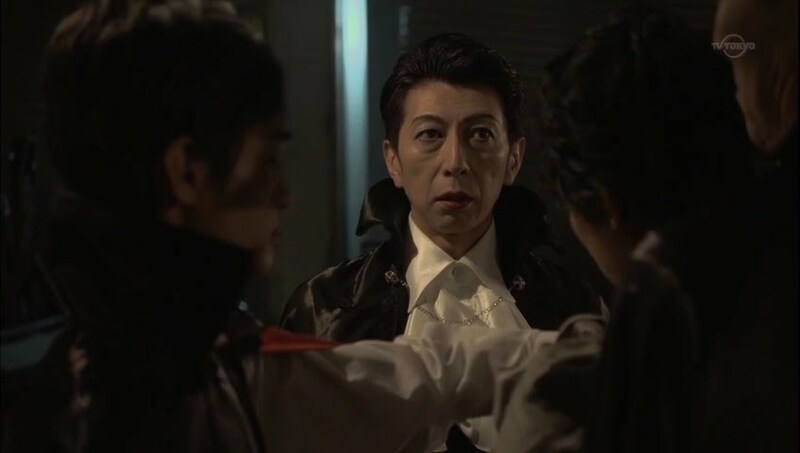 The three then get directions to the warehouse and sneak in to find the Count and his lackeys talking about killing Hayato. Ken stops Sakurako from rushing in alone and goes in himself. Hence we start the video game mode. 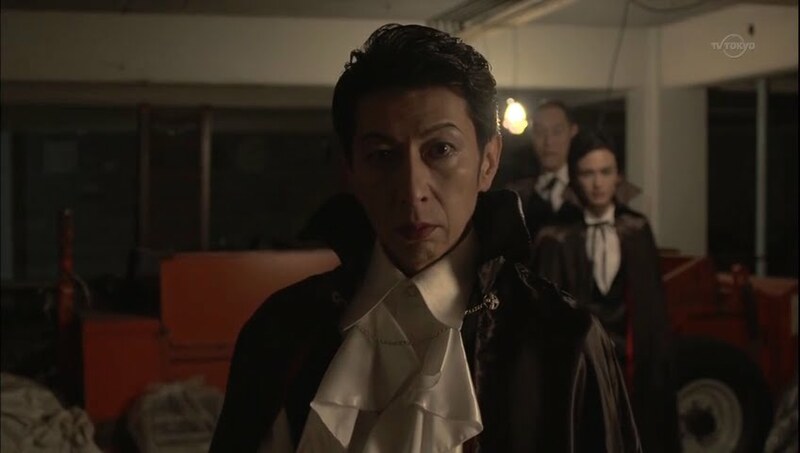 Ken starts by throwing garlic, but the Count catches one and tosses it back at him. Ken then takes out a cross to which the Count replies it would only work if the boy really believed in it. The Count then tosses Ken aside like a rag doll bringing the girls running out. Ken apologizes as he thought he’d win and then passes out. This angers Sakurako. She stands up and the Count sends his lackeys in to take her alive. 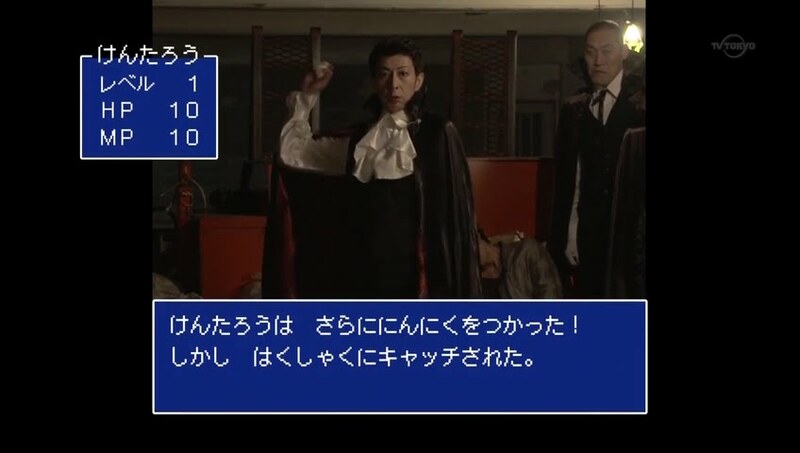 Koma then challenges the Count. More video game mode here as well. Koma manages to deal some damage, but the Count is too tough of an opponent for her. He’s choking her when Sakurako commands him to stop. The Count turns and is shocked to see that Sakurako has defeated his lackeys. He has really underestimated her. 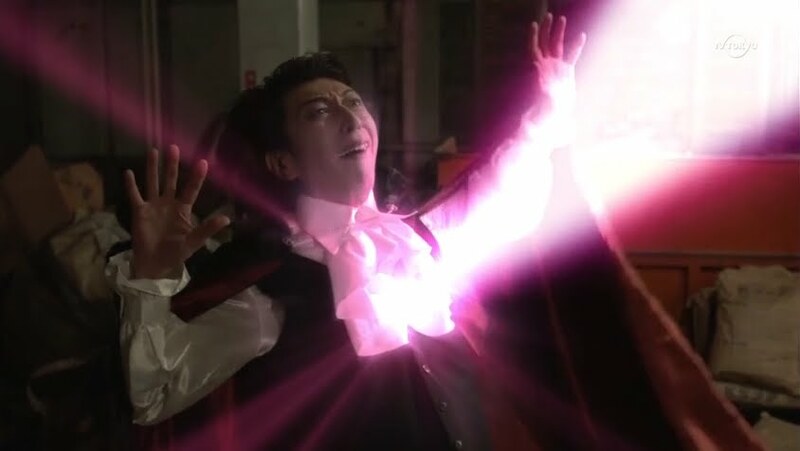 He drops Koma and then tries to entice Sakurako to drink her beloved human’s blood. Sakurako refuses and begs the Count to kill her instead. This confirms that Hayato is really precious to Sakurako. The Count gets this, but does not understand how this can be. He cuts Hayato’s face and Sakurako can’t stop herself. She rushes to Hayato and the blood. She tries to hold herself back, but the Count urges her to stop fighting her true nature. We then hear the sound of a harmonica. Koma is playing it and this helps lessen Sakurako’s hunger. 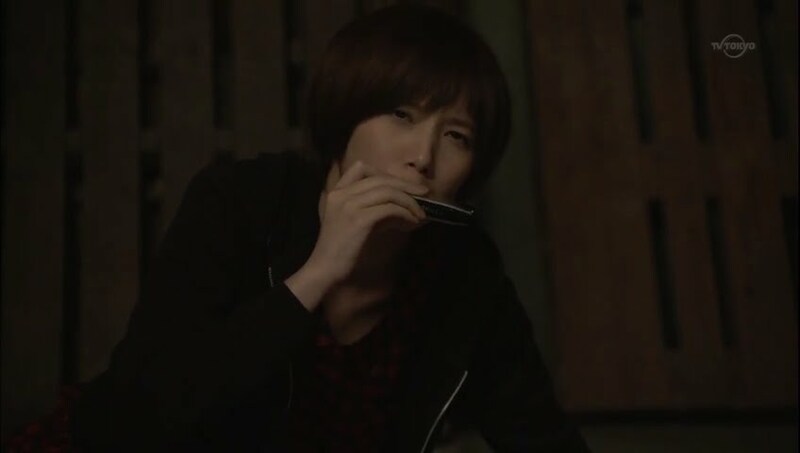 Koma then tosses the harmonica to her friend who plays it as well. This annoys the Count. Sakurako then tries fighting him when Hayato wakes up and finds her in the Count’s grasp. Koma then rushes in and gets sent flying. Hayato saves her, surprising Koma. 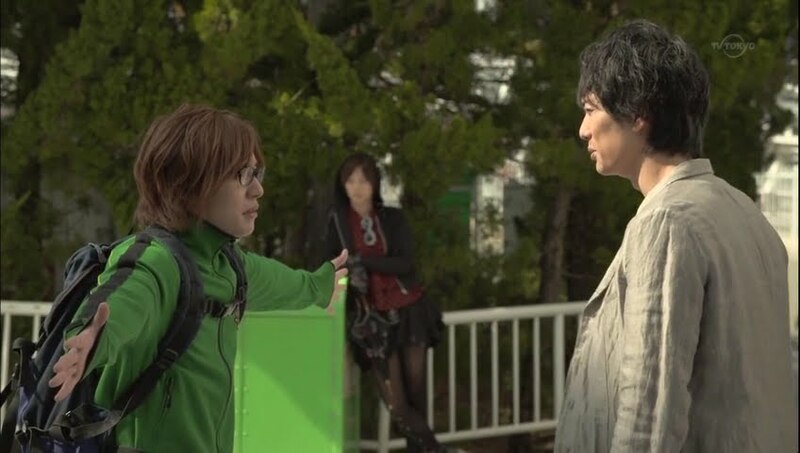 Ken wakes up and before the Count can do anything to hurt Sakurako or Hayato, he tosses Aoi’s weapon to our musician who grabs it and stakes the count through the heart. While the Count is wheeling and squealing in pain, the four make a run for it. They have managed to beat the Count this time and save Hayato. Aoi (who was so worried she put coasters on pizza instead of some time of leafy vegetable) rushes up and asks if they are okay. 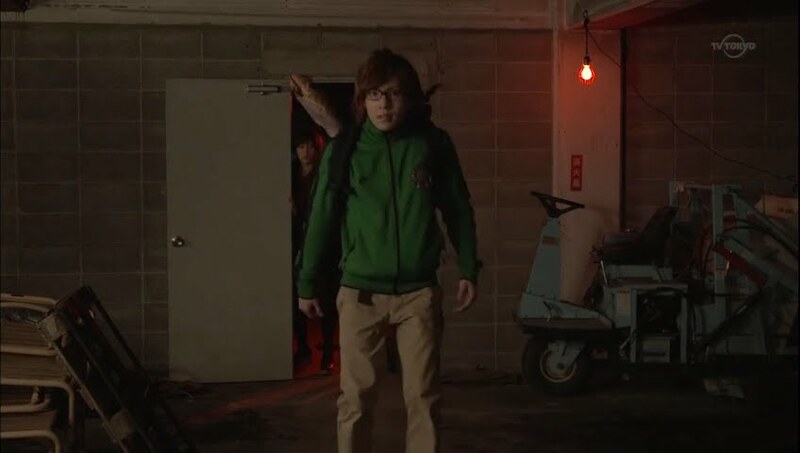 Hayato says he is fine but then asks about the zombie guy. The three who know the truth feign ignorance and say they don’t know what Hayato is talking about. Aoi joins in—since when doe Hayato believe in such nonsense? Hayato smiles. Right. He then passes out. 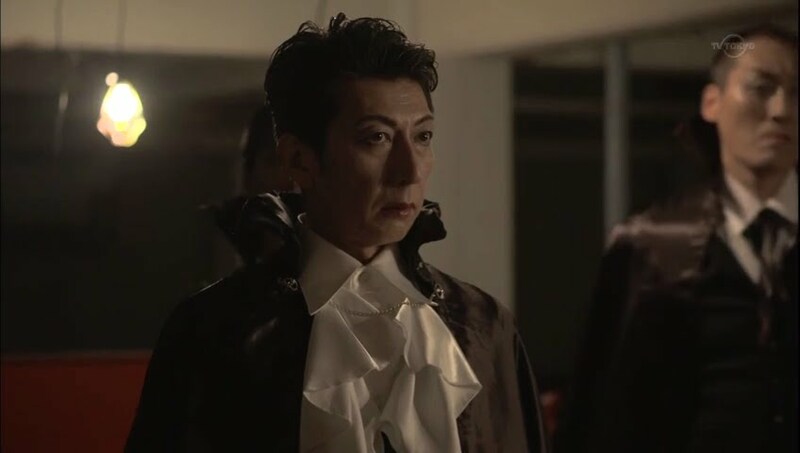 We then get narration about how the more a vampire loves a human, the more they crave that human’s blood. That night, a new craving was born. Yep. 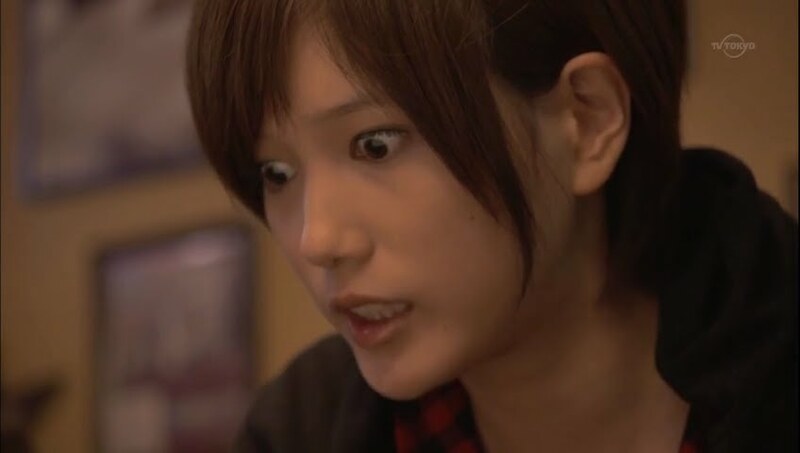 They synopsis talked about Koma falling for Hayato and previews for the next episode show she has a crush. Great. Meanwhile, the Count wakes up. Oh joy. So…just what is Aoi? 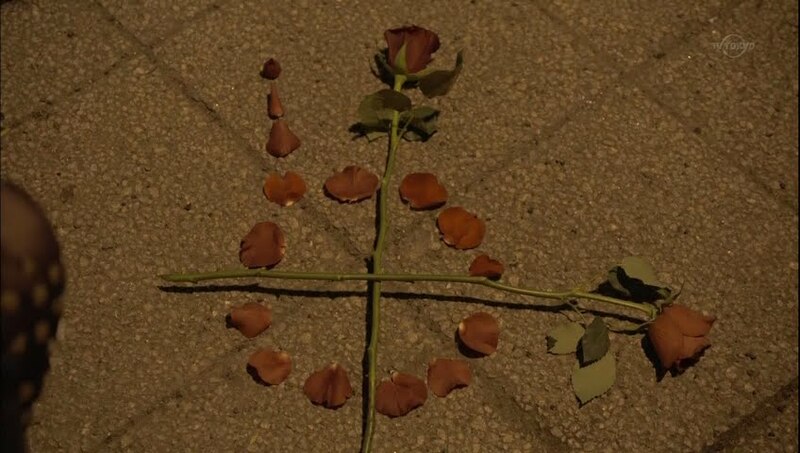 How can she decipher that rose message? Is she a vampire herself? Or just a human who knows the truth? what if aoi knew right from the start. maybe she used to be a vampire and now she’s human. mysterious. 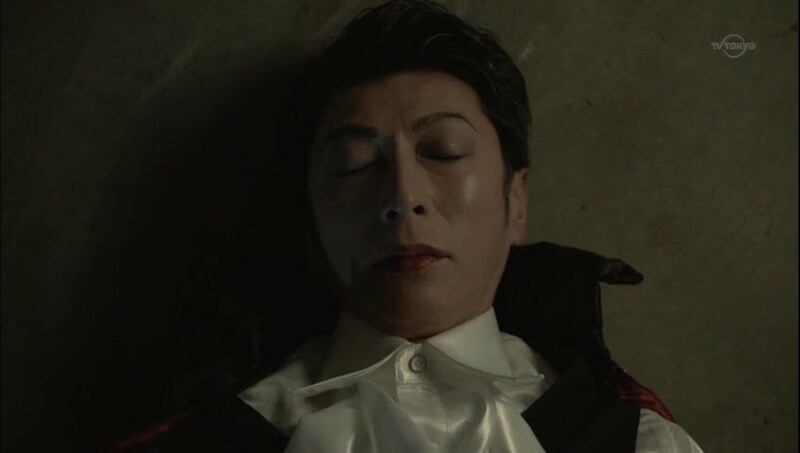 I wish they would tell Hayato that they’re vampires, i’m gonna get sick of her not being with him but not telling him why. I loved the whole game fight sequence. “He throws garlic. He throws more garlic. It looks effective”, lol. 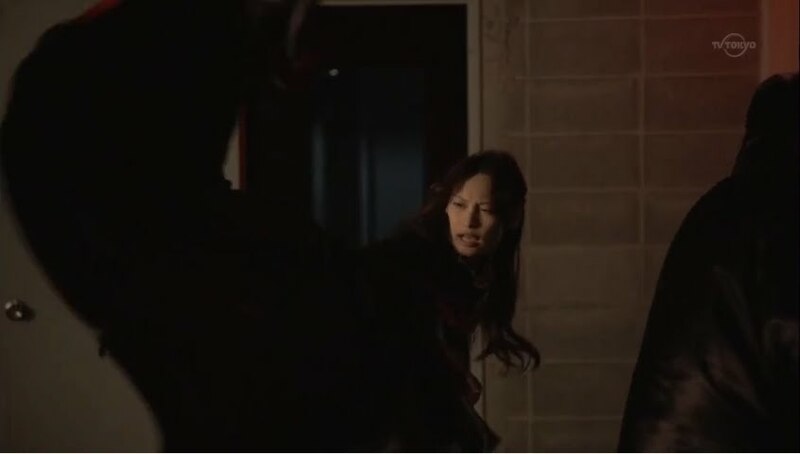 And Sakurako beating up the two guards. She’s tougher than she looks!